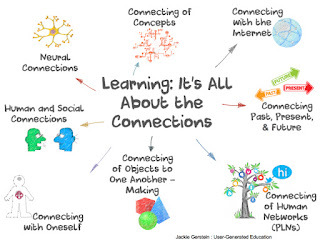 The image is from a blog post by Jackie Gerstein, one of my favorite edu-bloggers: Learning: It’s All About the Connections. And yes, you can find her at Twitter: @JackieGerstein. For specific ideas about Twitter and how educators can use them to build their PLN and connect with both colleagues and students, the Twitter-tagged articles at Profhacker are a great place to browse. 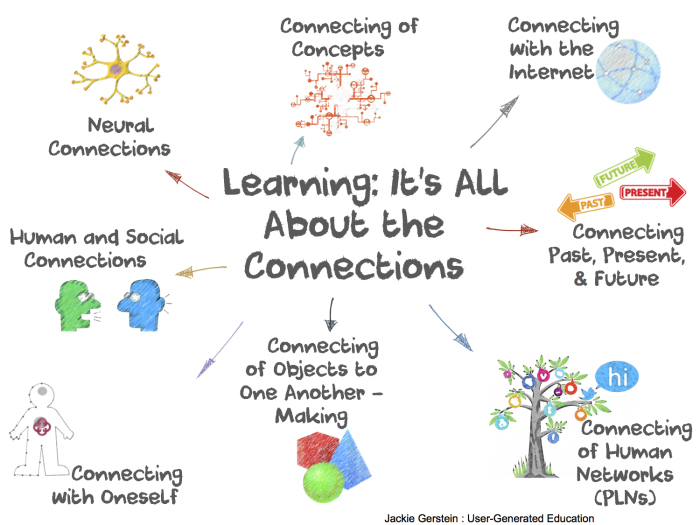 Are there some people and/or organizations who are key players in your personal learning network? If so, give them a shout-out with the #UOConference hashtag!